The changing landscape of North American manufacturing is changing the way manufacturers do business. How industry leaders approach today’s challenges will impact the direction of not only the individual manufacturer, but also the industry as a whole. New technologies are playing a vital role in the future of manufacturing, from streamlining business processes and operations, to types of materials being used, to customers expectations. Technology choices made today will impact manufacturers in the years to come. 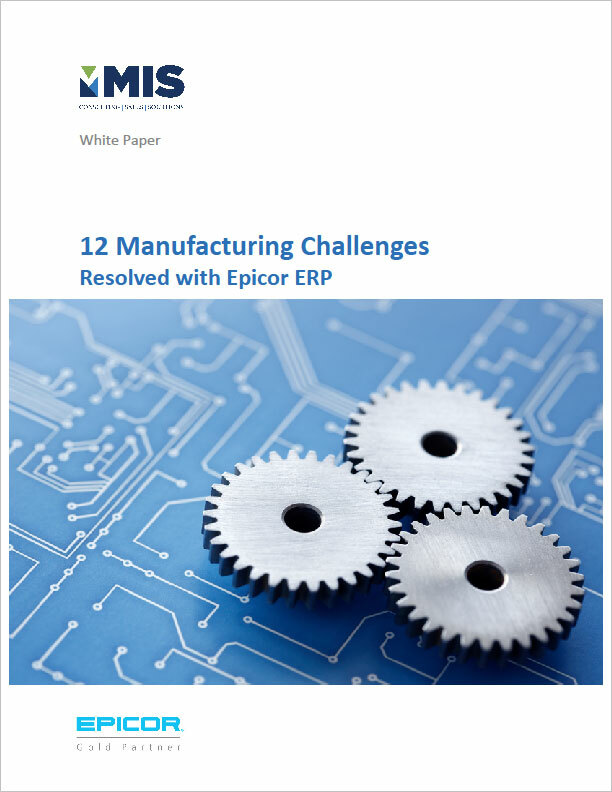 Steve Schanen, one of MIS’s manufacturing experts, with over 30 years experience working with manufacturers of all types and sizes, has written this informative white paper to answer some of your toughest manufacturing challenges the Epicor ERP way. Don’t be left behind! See how Epicor ERP can help you resolve some of your biggest industry challenges while saving you time and money in the process. Download today and learn how to take your manufacturing organization to higher levels with Epicor ERP 10. We won't share your personal data with anyone else.